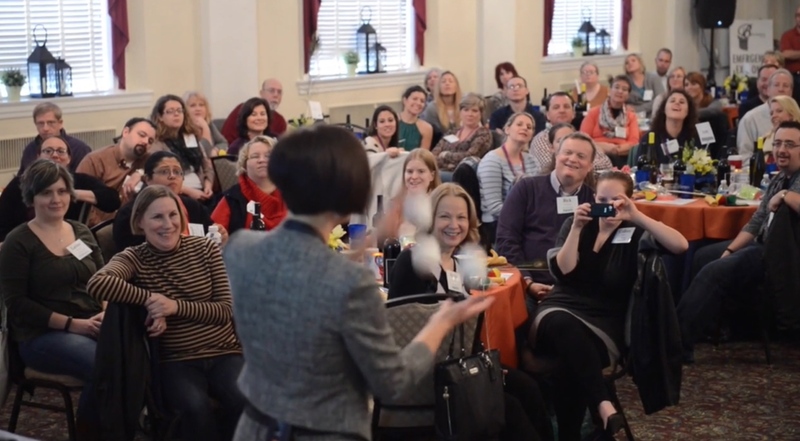 Audience members experience the principles of the Juggler's Mindset and utilize the Power of Practice to embrace learning and change. 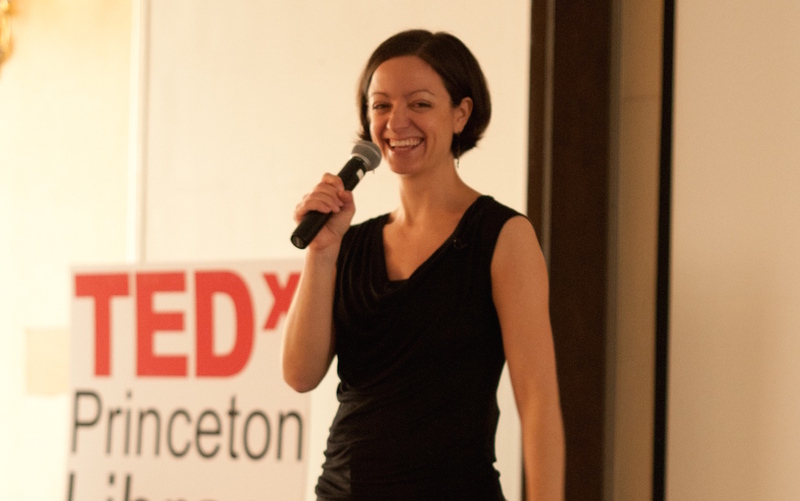 TEDx Presentation, Juggling Life: Redefining What's Possible, 2011, Princeton, NJ. 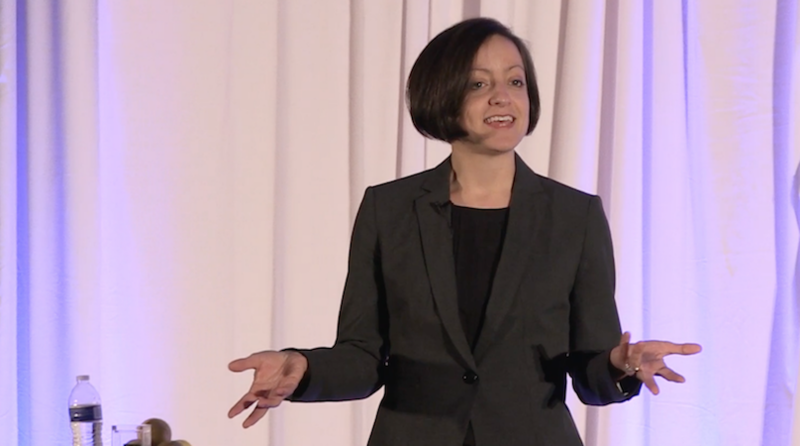 Jen presents her talk Juggling Life: Redefining What's Possible at TEDx in Princeton, 2011. 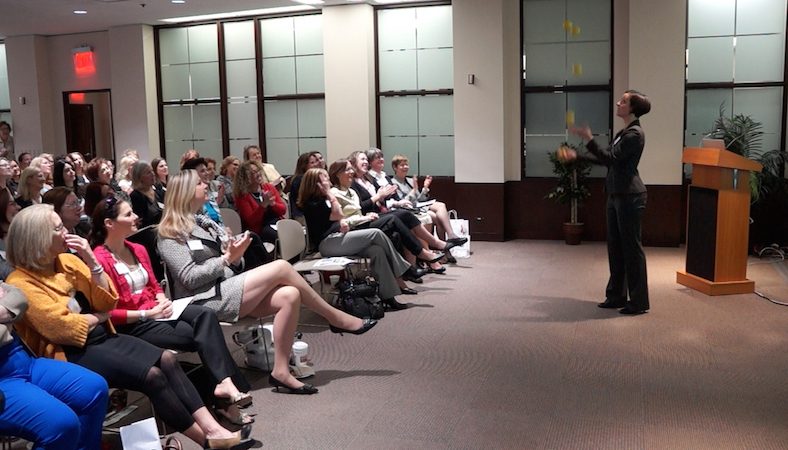 Jen speaks at an Executive Women's Breakfast Group and provides fun tips for Mastering the Juggling Act of Life! 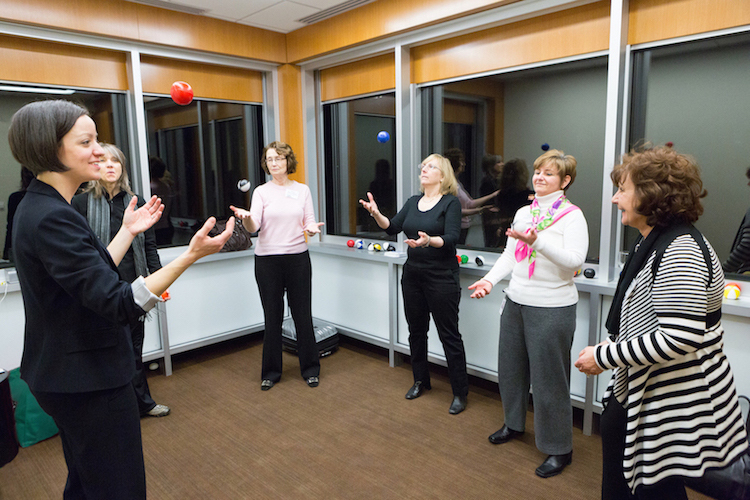 Workshop Participants learn to juggle by focusing on one thing at a time. 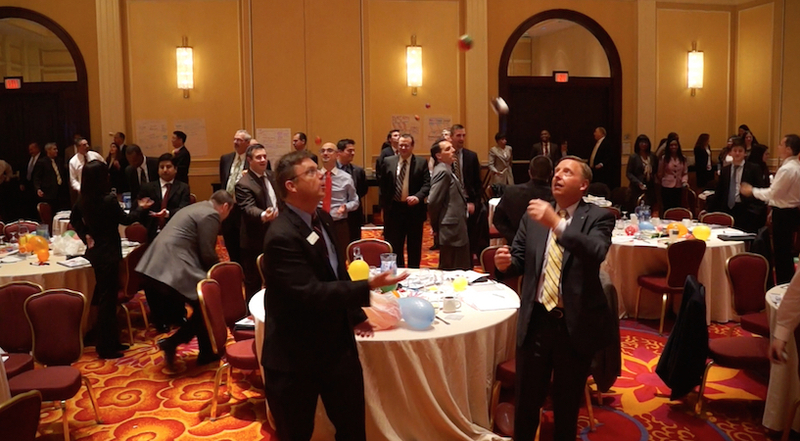 Investors Bank Lending Symposium - 150 attendees experience juggling as a tool to improve creative problem solving and collaboration. 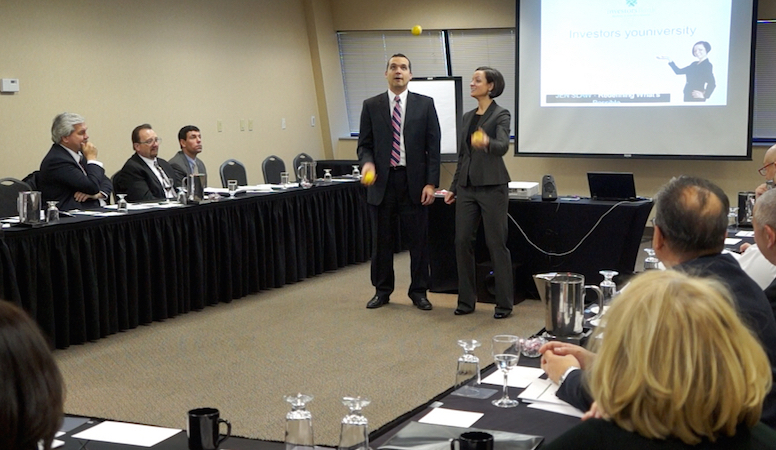 Jen demonstrates techniques for effective collaboration with a member of the audience! 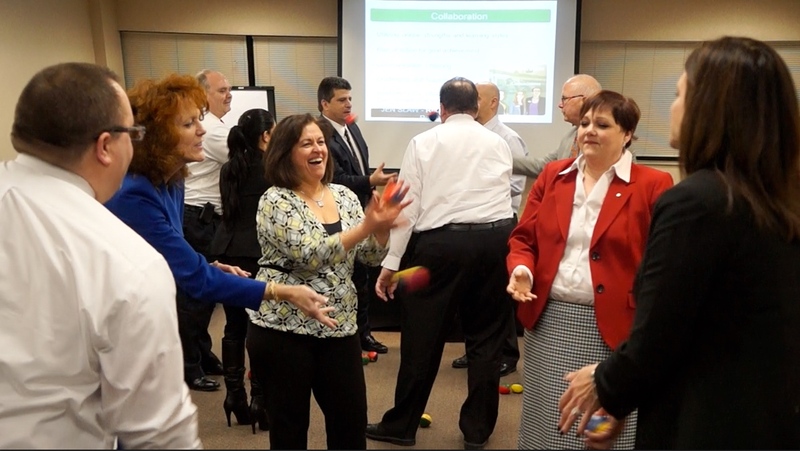 Team Building Workshop Participants engaged and having fun together in group challenges. 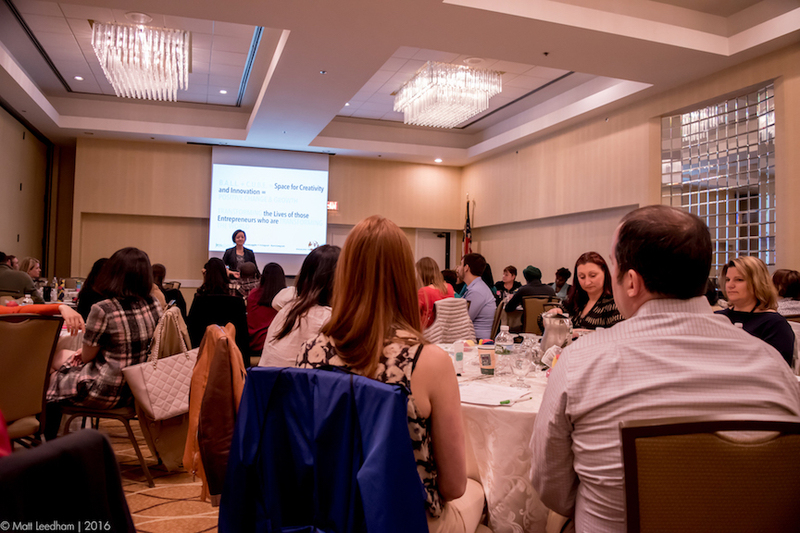 An engaged and smiling audience, bonded by an inspiring presentation! 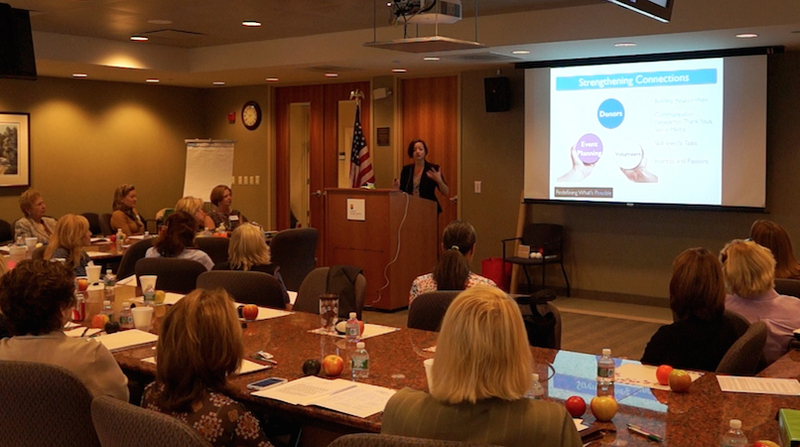 Jen speaks to a non-profit board about how to Strengthen Connections between the BALLS, or tasks, required to run the organization. 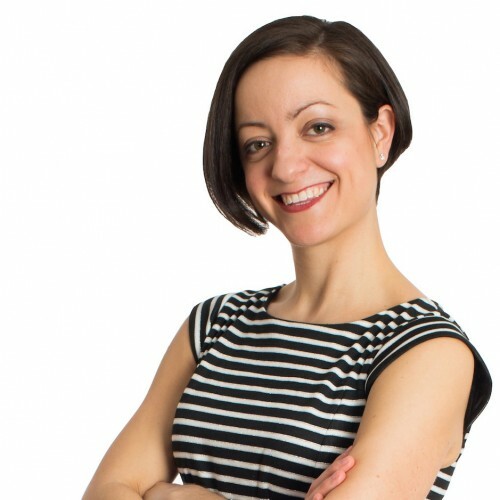 Jen speaks to a non-profit board about how to Strengthen Connections between the "balls" or tasks involved in running the organization, working towards a Dynamic Balance.